Since the Fourth of July is just in a few days, I thought it would be fun to bring you a little inspiration. 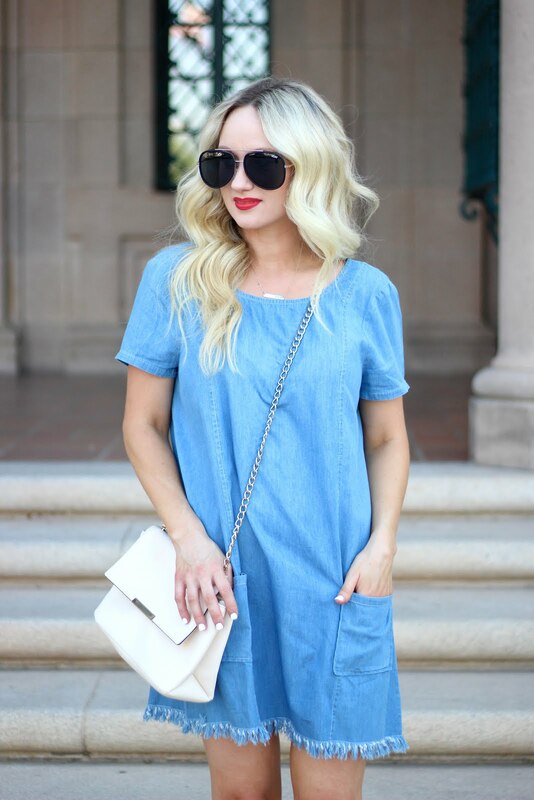 This chambray dress is just the cutest! I LOVE the frayed edges with the large pockets. You can get this dress for 50% off (and anything else you want) by simply signing up with Tobi today. I paired it with some red heels, but I have also worn this dress with sandals and its super cute for summer.